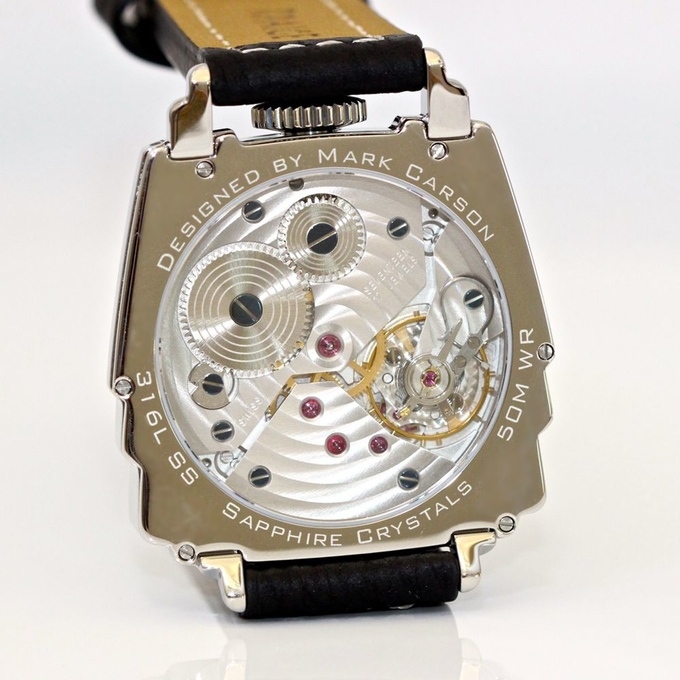 The Skyscraper Art Deco Watch is a new crowdfunded piece by horologist Mark Carson and designer Richard Paige. Based on Art Deco skyscraper decoration – think the Empire State Building’s handsome arches or the swooping buttresses of Gotham city – this watch is interesting for a few reasons. First, this team has made some nice watches before. Their DouFace dual face watch was quite popular with the watch bloggers and forums and this one, while a bit simpler, is still quite clever. Built around a the massive Swiss ETA/Unitas 6497 movement, essentially a hand wound pocket watch movement. The watch is encased in a Chrysler Building shaped steel frame with sapphire crystal with exhibition back. Carson is based in Honolulu but has 150 of the pieces ready to ship and should be able to get them out to backers by December 16. There are only a few left at $925 and they come on leather straps of your choosing. Again, as the resident TC watch hound I consider these guys to be quite unique. It’s not often you get an American-designed limited edition watch on the Kickstarter market and it’s even rarer to find them from truly established watch folks. These could be a good Christmas present or, considering the original name of these pieces was the Crash of ’29, a prescient piece of memorabilia as we slide into January.